offering picture-book views of unspoilt landscapes. Our house is located at the entrance to Sölden. Past the tunnel, then turn left into exit "B1". Cross the bridge, continue straight ahead. Apart Hotel Alt Kaisers can be found behind the little chapel. Apart Grüner Fidelis is in a central setting. Turn left at exit "D2", cross the bridge, then turn right. Follow the road for about 500 m until you reach our guesthouse located on the left (before you get to Hotel Sunny). 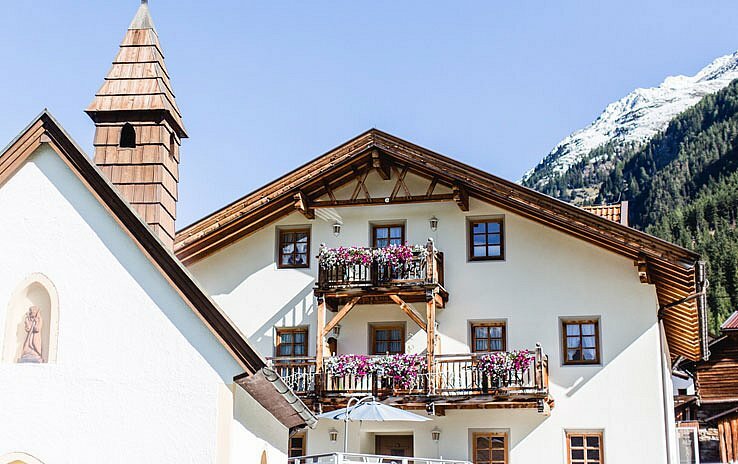 Haus Agnes Gstrein nestles right in Sölden's village center. Follow the main road - drive past the Giggijoch mountain gondola, after approx. 150 m you'll find our guesthouse on the left (opposite Hotel Dominic). 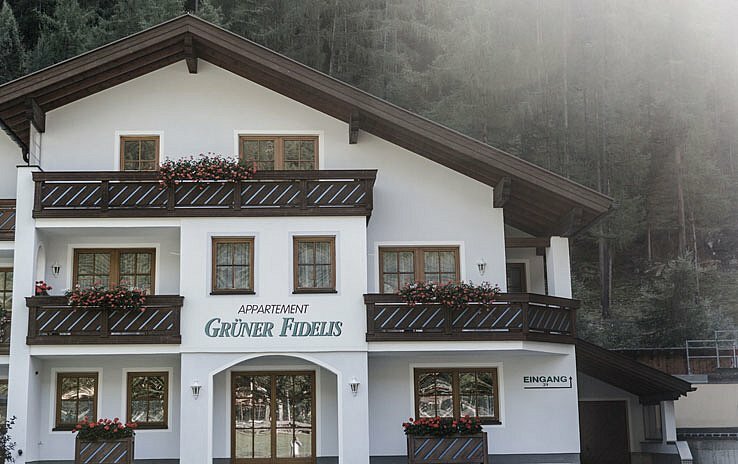 Below you can find the exact location of our ALPENLIVING Guesthouses - Apart Hotel Garni Alt Kaisers, Apart Grüner Fidelis and Haus Agnes Gstrein. To calculate the most convenient travel itinerary to Sölden simply enter your "home address" and click on "calculate route". Take full advantage of the quickest and most convenient travel route to Ötztal. 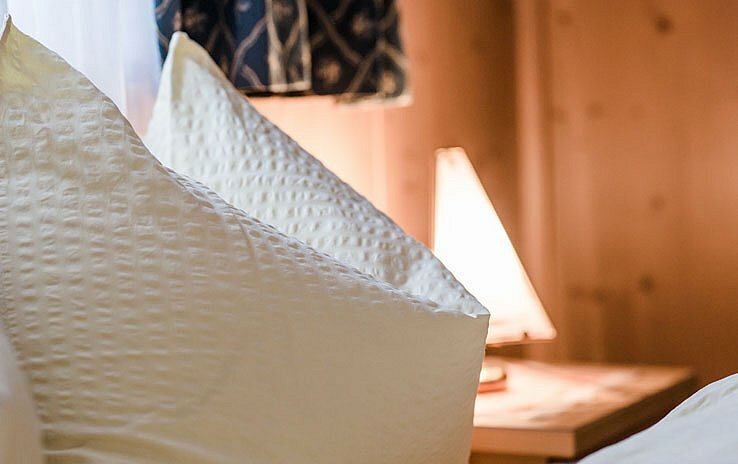 Please note that all ALPENLIVING guests must check-in at Apart Hotel Alt Kaisers – Therefore this is the only travel route available in our system. We look forward to giving you a heartfelt welcome and wish you a pleasant journey.